Note: This article is a re-write of a previous article, showing how to build a real-time system monitoring application using SignalR and WCF. 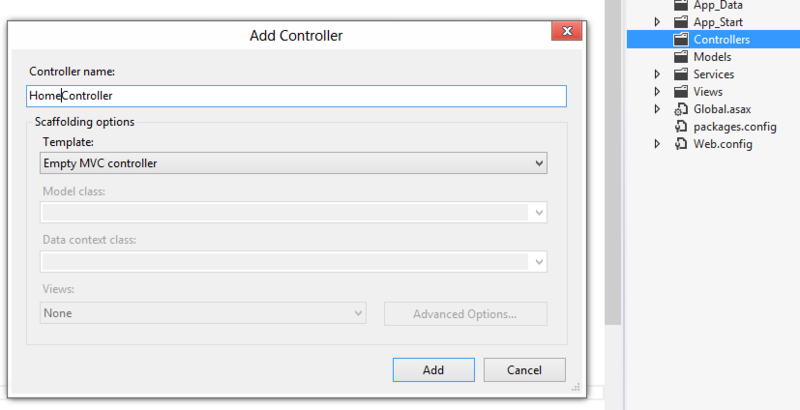 This update shows how to build the same thing, but with the release version of SignalR and using WebAPI instead of WCF. Application building time! This article is designed to give you, the reader, some grounding in a few different technologies and help you build a working application which may or may not be actually useful. Nonetheless, it should be fun to build and at the end you will hopefully see some nice web wizardry to keep you entertained. Beware – this is a lengthy one, but you can fork/download the code from Github. And this is what will happen: the console application will run on the host PC and post system resource usage as JSON to the Web API endpoint which is running on the web server. The endpoint will then send this information straight to the SignalR hub, which will then broadcast the information to all clients, who will display this information on the page. 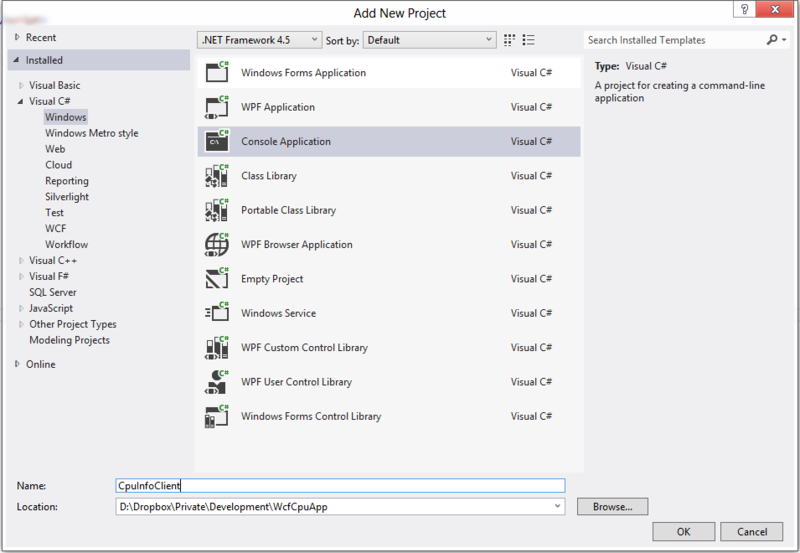 In this article, I am using Visual Studio 2013 (with Update 3 applied) with an Asp.Net MVC 5 web project. 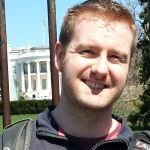 Before we get started, you should familiarise yourself just a little with SignalR and KnockoutJS as I’m not going to go into the technical concepts behind them, but merely show you how to use them. Both sites have excellent tutorials here and here to get you started. 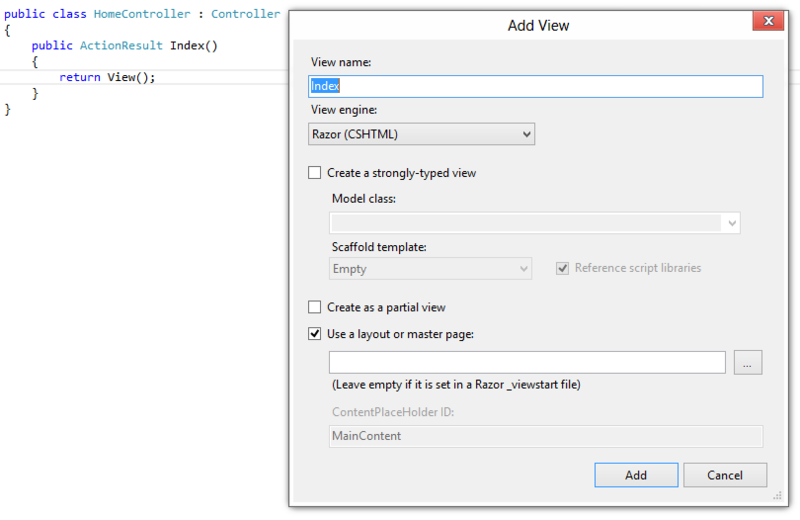 Also, I assume you know your way around Asp.Net MVC. From now on, I will host any code that accompanies a tutorial or article that is worth downloading, on Github. You can download/fork/play with the code for this article to your heart’s content! This app is set up to use a local IIS server as the hosting platform, mainly because it makes it really easy to connect to it from another machine. IIS Express on the other hand, only accepts requests from the local machine by default. There is a way to enable connections from another machine, but I couldn’t get it to work. If you feel like it, there seems to be a few good answers on StackOverflow and a blog post from the IIS team which may get you started. So, the app is hosted on IIS as https://localhost:44300, and you might want to set your platform up the same way I have it here if you want to follow along with the blog post. I installed the IIS Express SSL certificate into the site to demonstrate how SSL could be used, and it’s very easy. For the purposes of demoing the app, you can of course not use SSL. The only thing that matters is that the client app connects to the same URL that the web app is being hosted on, which in this blog post is port 44300. Remember to allow it through your firewall if you intend to try it out with another machine on the network. 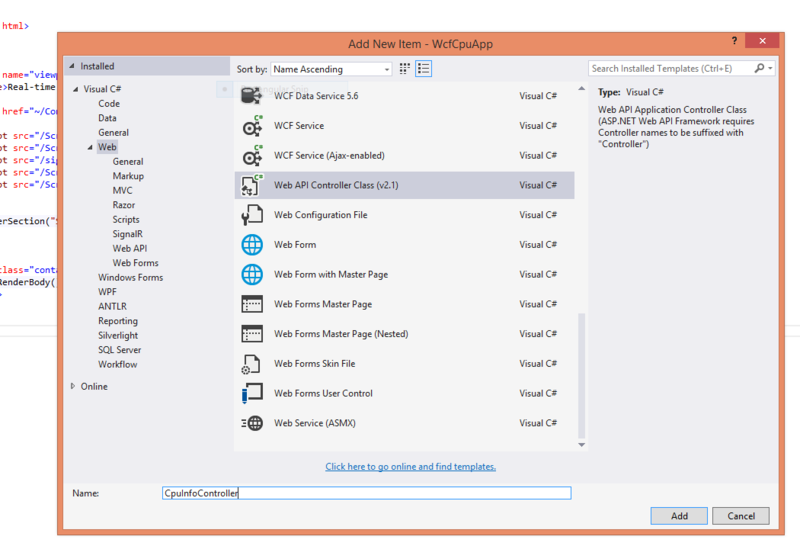 We’ll start by creating the web application, as it hosts the WCF service which we require in order to complete the console application in the next section. Start by creating a new MVC application – I used the “Empty” template for a MVC 5 Web Application, but really the version doesn’t matter too much; we just need a web host. This will install a number of scripts into the /Scripts folder and also add references to a couple of SignalR managed libraries. In order to boot SignalR and get all the moving parts working, we use a Startup class which comes from Microsoft’s implementation of the OWIN standard. OWIN itself is outside the scope of this article, but if you haven’t come across it before, you need to check out Asp.Net vNext and all the associated technologies that will be emerging over the next few months – essential reading if you’re taking your MVC career into the future. You can read all about it on the Asp.Net vNext homepage. The next thing to do is set up a page where we can monitor this data. I am going to start this page, then move to the console client application, and then come back to this page to finish it off. }; // Instantiate the viewmodel..
memPercent: ((memUsage / memTotal) * 100).toFixed(1) + "%"
The important part here is that we’re essentially adding a handler for the cpuInfoMessage method that we have already declared in our Hub class on the server-side. Remember that? This is where that information ultimately ends up. When a message is sent down that SignalR pipe, this method in our script picks it up, transforms the data into a Knockout viewmodel and thus updates the view. If you weren’t using Knockout to update your view, this is where you would use jQuery or any other method to take the computer data and reflect the changes to the user by updating the Html. So, how do we start getting data into the system? Here we’re getting a reference to our SignalR hub and passing data to the cpuInfoMessage method, which if you’ve been following along, you’ll recognise as the method that the JS is binding to in order to receive data from the SignalR pipe. Thus you can start to see the workflow; a client application posts computer metrics as JSON to a Web Api endpoint, Web Api passes the date on to SignalR, then our UI code handles this message and updates the UI. Obviously the numbers are arbitrary, but it’s only to test that the data is coming through correctly. We shall leave the web side of things for now and have a look at the local client which will send up system resource information to the Web API endpoint that we created in the previous section. 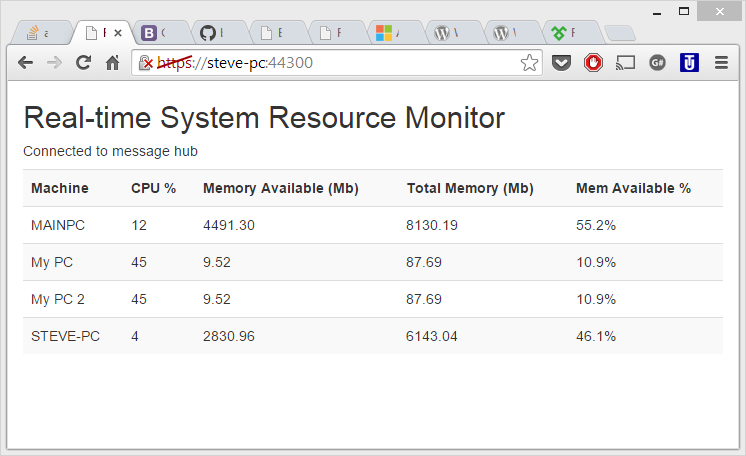 It queries a performance counter to get the CPU usage and current memory usage, and WMI to get the total system memory. It sends this data to the Web API endpoint we created earlier, then waits a second before doing it again, until the user hits a key to stop the application. Next, lets start filling out the project. Overall, it’s fairly simple but I’ll go through it step-by-step. Thread pollingThread = null; // Hello! As we will see, I have created a method called RunPollingThread which will send our data up to the service. Notice how the _isRunning flag is used. When the user hits a key, the flag is set to “false” and this is the signal to the worker thread to stop doing its thing and exit the thread. Here is where the work is done to actually send the data to the server. I’m using the Newtonsoft Json Serializer from Nuget to do the serialising for me. I simply create a packet of data in the same format that the client is expecting, and send it up there using a WebClient. I’m getting the url to send the data to from appSettings so that it’s easy to change later once the client has been deployed. The first section of code uses the two performance counters we created earlier to retrieve the values for the current CPU usage, and the current memory usage. Finally, we use WMI to retrieve the available system memory. The units here are in Kilobytes. So, if the service reference worked and everything compiles, you should now be able to start the website and browse to the home page. Then, start a client instance and see the data come through! Start it on multiple machines and see even more data come through! And there you have it! The full project source is on Github, so please feel free to download it, fork it, and play around!